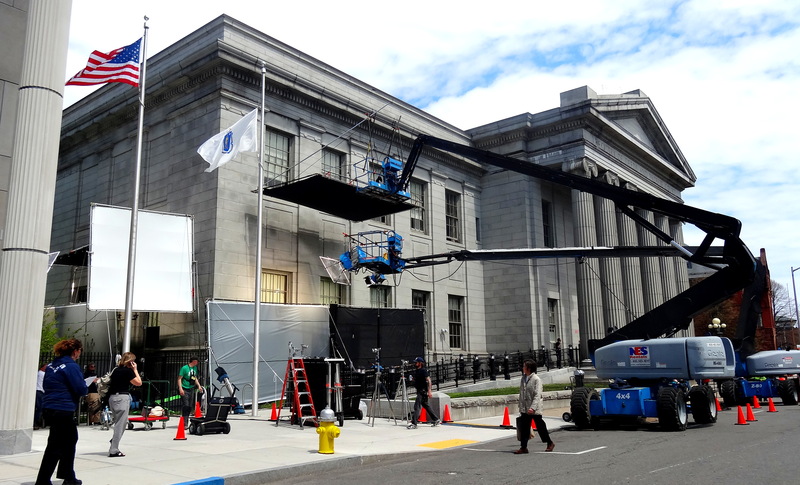 Lots of movies have been filmed here in Salem; at some point, I’ve got to make a comprehensive list and write up a mega-post! 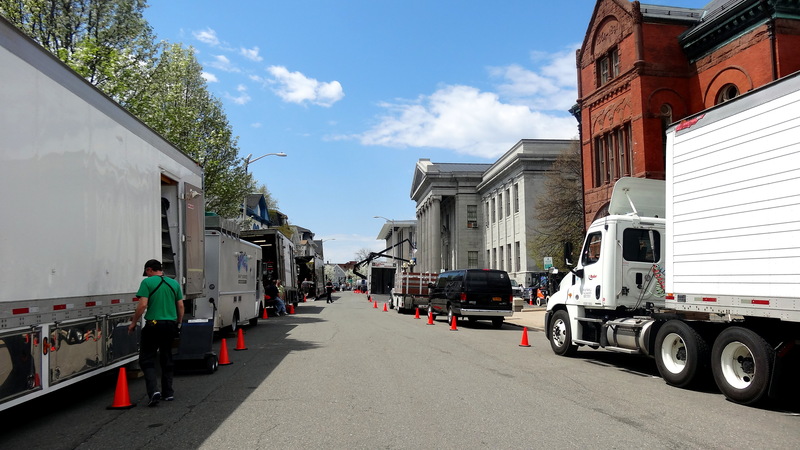 In my own time here, I have been kept up two entire nights by film crews outside my bedroom window on two occasions, in two different houses: filming is not a quiet, or small, or particularly energetic operation. 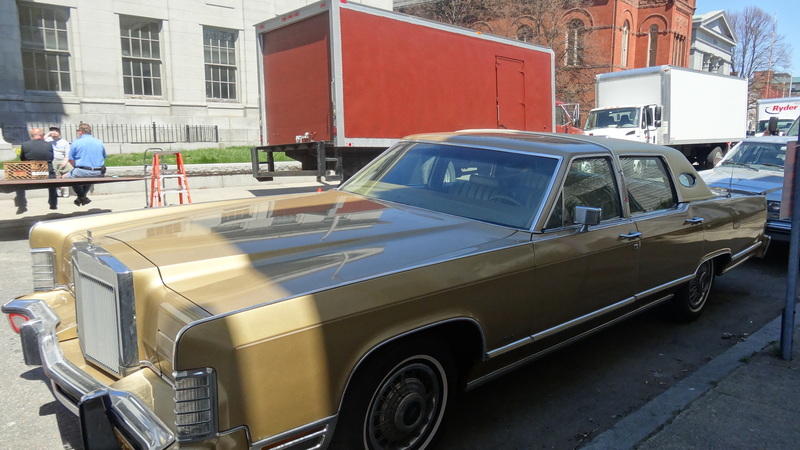 This week, a David O. Russell film entitled “American Hustle”, starring Bradley Cooper, Christian Bale, Jennifer Lawrence, Amy Adams and Jeremy Renner, is being filmed in and around the courthouses on Federal Street, and the whole city is abuzz. Yesterday, in particular, there were Cooper sightings being tweeted and whispered about, but I have seen no movie stars: only trucks, cameras, crowds, and cars. 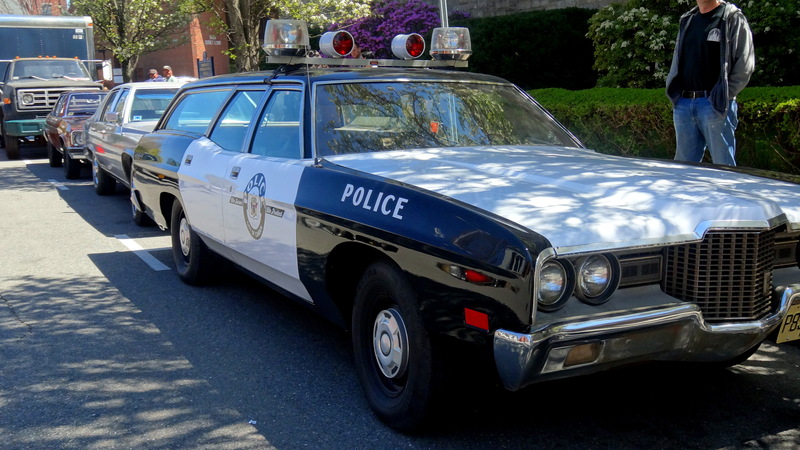 Here’s the description of the movie from IMDb: the 1970s–set true story of a con artist and his partner in crime, who were forced to work with a federal agent to turn the tables on other cons, mobsters, and politicians – namely, the volatile mayor of impoverished Camden, New Jersey. So you can imagine what the cars looked like. 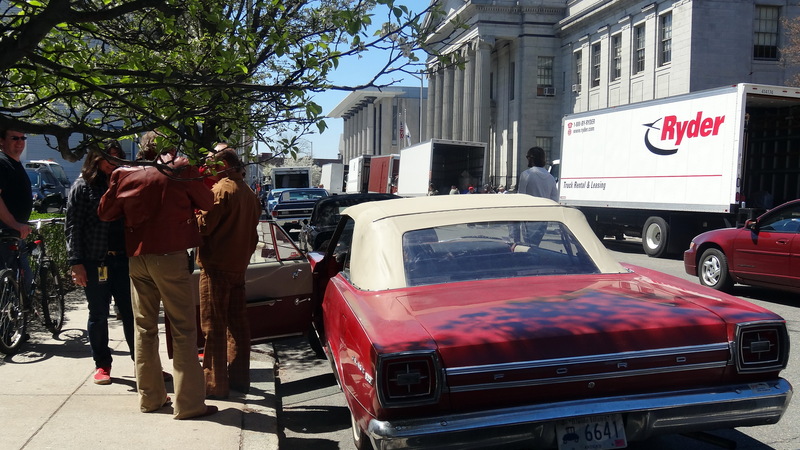 Yesterday, they were obviously filming inside the courthouses (abandoned by the state for our newly-built Stalinesque building that is adjacent to the classical revival, Romanesque, and Greek Revival buildings that you see here) but on Tuesday, it was all about the cars. 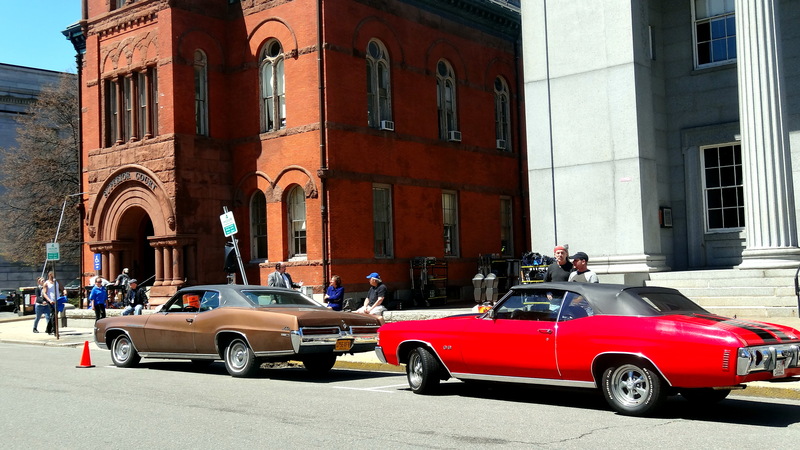 While I saw some seventies-garbed extras milling about the cars, no Cooper or Bale sightings for me. Just around the corner, all was calm on the other side of the courthouses. Quite the contrast. 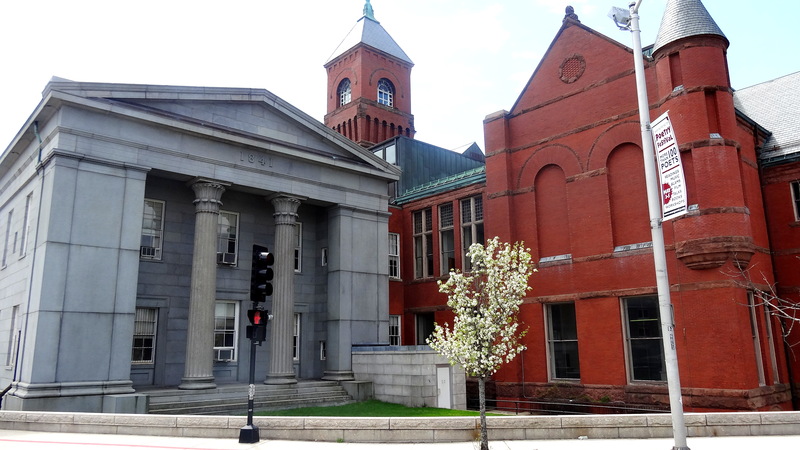 This entry was posted on Friday, May 3rd, 2013 at 5:58 am	and tagged with Architecture, films, Local Events and posted in Current Events, Salem. You can follow any responses to this entry through the RSS 2.0 feed. I lived in Hawaii when they were making “Magnum PI”. Talk about a disaster. You couldn’t drive near where they were shooting. Traffic stopped and a total mess. 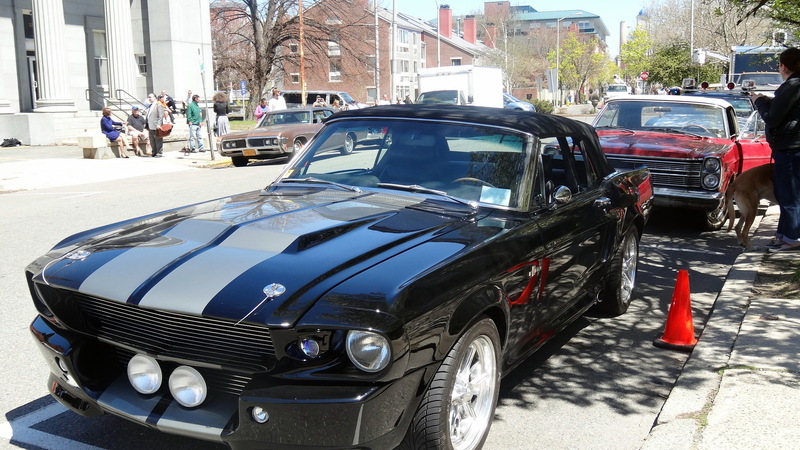 I do like the pics of the old cars though. It is disruptive, so I can’t imagine what an ongoing series must be like!